Used for standard electrode manufacturing. 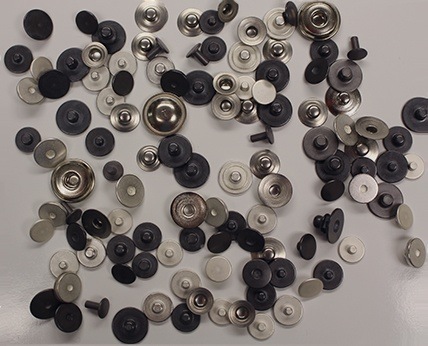 Eyelets available in 0.1 and 0.075 mil standard silver / silver chloride thickness – custom coating thicknesses are available. Tested for DC offset, impedance and defibrillation recovery to meet or exceed AAMI standards. Metal snap available in nickel-plated brass and stainless steel to form a two-piece electrode assembly.